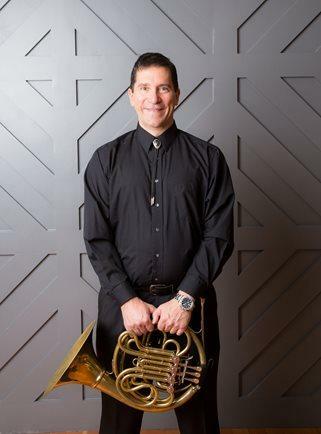 Ronald Beitel is an active soloist, chamber music artist and horn class clinician. As a soloist, he has appeared with The National Arts Chamber Orchestra, The San Antonio Symphony, The Salt Lake Symphony, The Vivaldi by Candlelight Orchestra in Salt Lake City and The Sheboygan Symphony Orchestra. As a chamber musician, Beitel has appeared with numerous friends and colleagues around the country, most recently on the Nova and Intermezzo series in Utah and Manhattan to the Mountains at Snow College and Southern Utah University. For the last 29 years, his musical career as an orchestral artist has included positions with The La Crosse Symphony, The Utah Symphony for 18 years, The San Antonio Symphony for nine years and single-season stints with both The Memphis Symphony and The Ohio Chamber Orchestra. He has also performed, recorded and toured with both The Cleveland Orchestra and The Houston Symphony. Now a resident of Rochester, Minnesota, his musical activities are varied, including composing and arranging music for horn and teaching private lessons. Recent performances include concerts with The St. Paul Chamber Orchestra, Minnesota Opera and The Minnesota Orchestra. Dr. L. Curtis Hammond, associate professor of music at MSU, said horn players and other musicians will get the chance to learn from a notable and successful figure in the field. "Ron is a world-class musician who has performed with some of the greatest musicians in the United States,” Hammond said. “I am very excited our students get to hear and interact with someone of this caliber. This is truly an outstanding opportunity for the students at MSU." The Morehead Writing Project (MWP) has received a $10,000 grant from the MacArthur Foundation’s Journalism and Media Program to fund the 2019 Power Your Story Journalism Camp. The summer program for high school youth seeks to address the “news desert” that exists for many students living in low-income rural communities and teach young people the value and importance of community journalism.